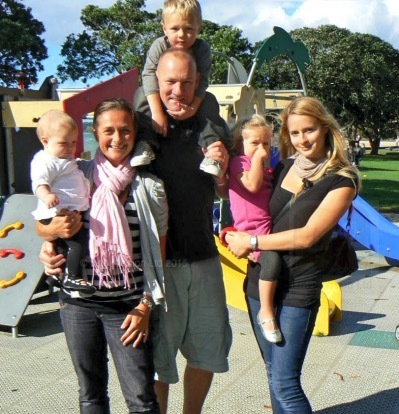 An au pair is a young person from overseas who comes to New Zealand on a Working Holiday Visa. They come to improve their English, travel around, discover a different part of the world, earn some money and also to grow as a person. Whilst they have the benefit of combining all this when working as an au pair, you will also have some flexibility around your home based childcare. No need to look for a babysitter when you are required at work or a social function or when you want to have some time off with your other half. An au pair will be like a big sister or brother to your children and be the person they can trust when you as a parent are not available. An au pair is between 18 and 30 and is only allowed to work as an au pair if they have a Working Holiday Visa. They are not nannies and have no formal qualifications. They do have childcare experience though. An au pair becomes part of your family, even if your are their employer with all the rights and obligations this comes with. Registration with Au Pair New Zealand is free. We ask you to send us an Application Form to get the ball rolling and for us to find out what you are after. In the ‘Become a Host Family’ section, you will find useful information about the other documents we need and the application process. A link to our Terms & Conditions can be found HERE, but we also include them in our email signature so you have access to them at any time.